My interest in baking may suggest otherwise but believe me when I say that I grew up as a pakka tomboy. My knees used to be perennially scraped from all the climbing (tress and wall included ) and my somewhat limited collection of toys only had a single doll . As such , my childhood memories seem to more of playing cricket rather than arranging elaborate "gudda-gudiya ki shaadi". While I like to believe that helped me to shape my personality in a positive manner but some where my girly girl side feels betrayed for not being adequately nurtured.That is why for my daughter , I aim to encourage both the sides..her tombiy side which wants to copy everything which her bother is doing and her sweet girly girl one which loves all things glittery and fancy . Tea party fits right in , don't you think ? Why the sudden interest in tea party ? Well it is summer and we have already taken care of lemonade stand from our summer bucket list . It was a success and along similar lines, the tea party piqued our interest . 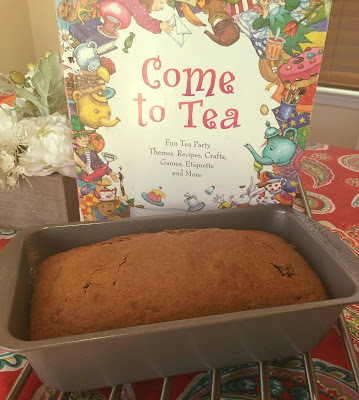 We will be hosting it shortly and will fill you all on the details but for now I have a yummilicious recipe from the tea party menu to share . 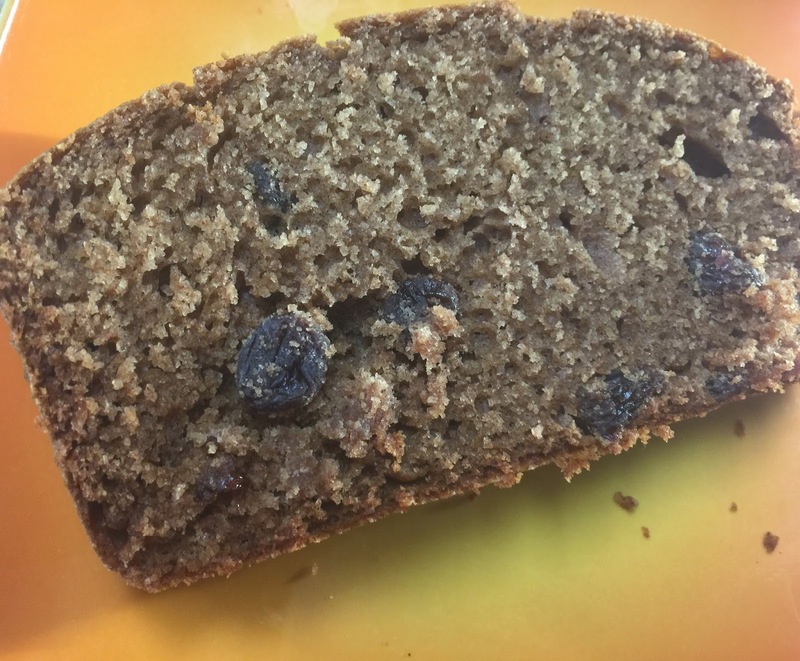 This cinnamon raisin bread comes from a fool proof recipe and is bound to shut even your harshest critic ( if you have any that is ) . 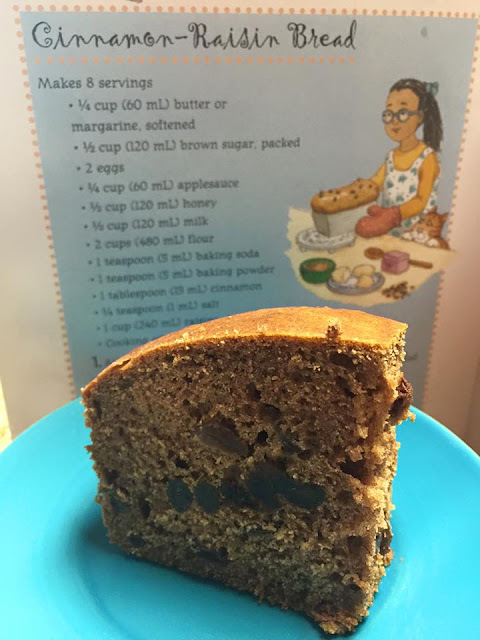 It is my personal belief that recipes that comes form kids books are the most successful . Go figure ! This one begs to be saved because the end result is too delicious. Note - The recipe calls for buttermilk so don't fret if you don't have any . Simply take the same amount of milk as required for the buttermilk and squeeze some lemon juice in it, Let stand for 10 minutes and your buttermilk is ready . You guys can thank me if you are so inclined. Heat the oven to 325 degrees F or 163 degrees C . Grease and flour a loaf pan too. Cream butter and sugar until smooth . Add eggs one at a time and beat the mixture until fluffy . Blend honey, applesauce and buttermilk into the mixture . In a separate bowl, mix the dry ingredients together(flour,baking soda, baking powder,cinnamon and salt ). Then blend in the dry ingredients into the creamed mixture. Stir in raisins. Pour the mixture into an oiled loaf pan . Bake it for about an hour or till a tooth pick inserted in the center comes out clean. Remove from the oven and cool for 10 minutes , the turn the bread out onto a rack to cool completely . cinnamon raisin bread sweet bread tea bread tea party !